“The BFG” is the exciting tale of a young London girl and the mysterious Giant who introduces her to the wonders and perils of Giant Country. 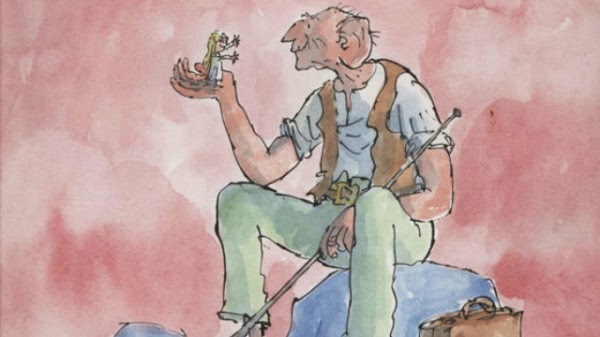 Based on the beloved novel by Roald Dahl, “The BFG” (Big Friendly Giant) was published in 1982 and has been enchanting readers of all ages ever since. Dahl's books, which also include “Charlie and the Chocolate Factory,” “James and the Giant Peach,” “Matilda” and “Fantastic Mr. Fox,” are currently available in 58 languages and have sold over 200 million copies worldwide. Steven Spielberg will direct the film adaptation based on a script by Melissa Mathison, who last teamed with Spielberg on “E.T. The Extra-Terrestrial.” The Disney/Amblin/Reliance production in association with Walden Media will be released by Entertainment One across the UK on July 22, 2016, the year that coincides with the 100th anniversary of Roald Dahl¹s birth.